Showing results by author "Tim Bowden"
In 1979, the idea of an oral history based project on the administration of Papua New Guinea germinated at the ABC, driven by Tim Bowden and Daniel Connell. 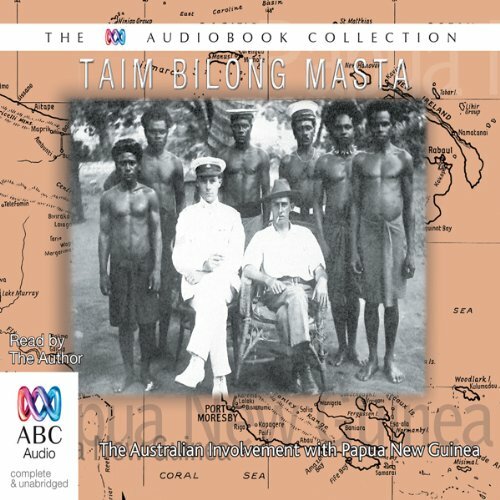 This massive undertaking involved the recording of 350 hours of tape recorded interviews with Australians and Papua New Guineans who had been involved with Australia's colonial administration which ended with self government and independence in 1975. 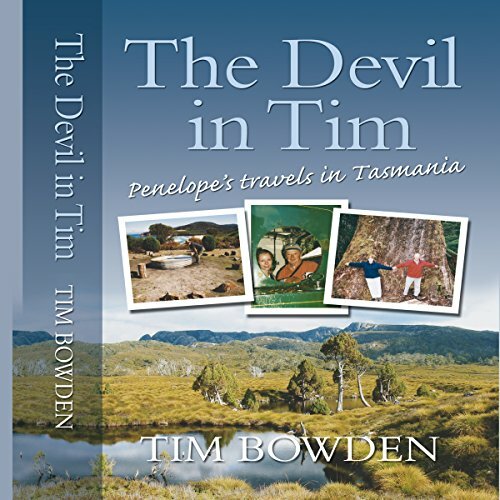 When Tim Bowden went back to Tasmania to explore his state of origin for the first time in many years, he was reminded of his adolescent assertion that "Tasmania is the testicle of Australia, suffusing the mainland with strength and vigour. What a pity there is only one of them". 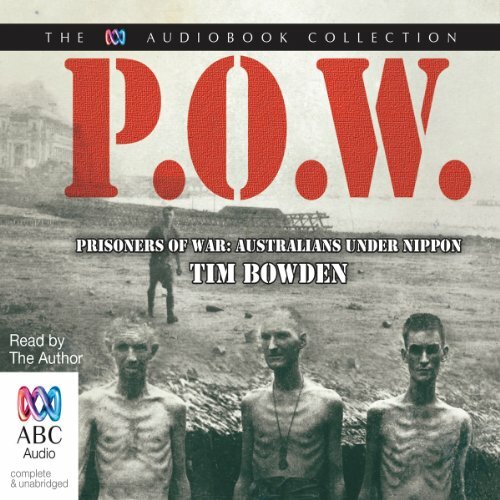 This documentary series, first presented in 1985 by acclaimed producer and presenter Tim Bowden, is a harrowing account of the ordeals faced by Australian POWs in Japanese camps, at the height of World War II. Told through the first-hand accounts of survivors from the war, this series has been remastered and serves as an indispensable insight into the realities of the war in the Pacific. 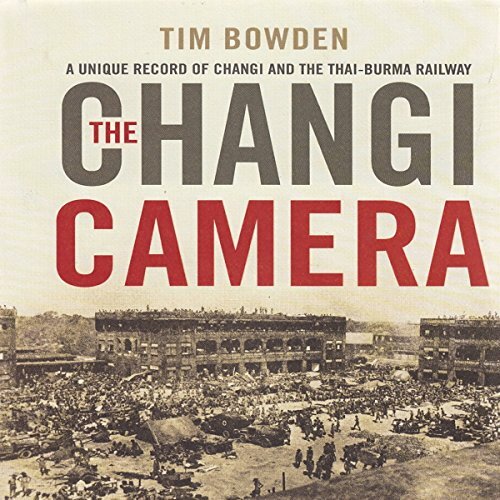 The best-selling biography of one of the world’s greatest cine-cameramen and an extraordinary Australian. For over 20 years, journalist Neil Davis covered the conflicts in South East Asia. Always at the battle front, he brought enduring images of the full horror of modern war to the world. 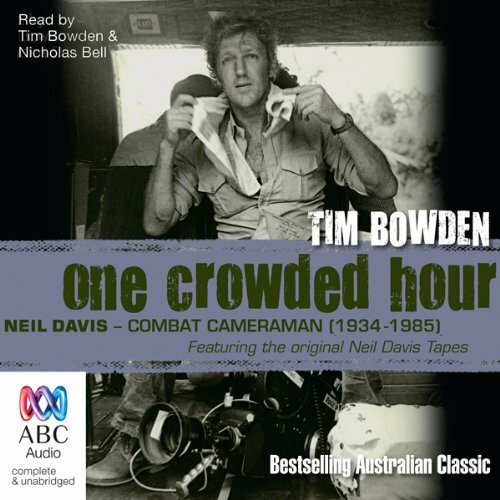 Ironically, in September 1985, having survived so much war, Neil Davis was killed filming an attempted coup in the streets of Bangkok.The last section this audiobook contains the Neil Davis Tapes, which are Tim Bowden’s original interviews and location recordings with Neil Davis. 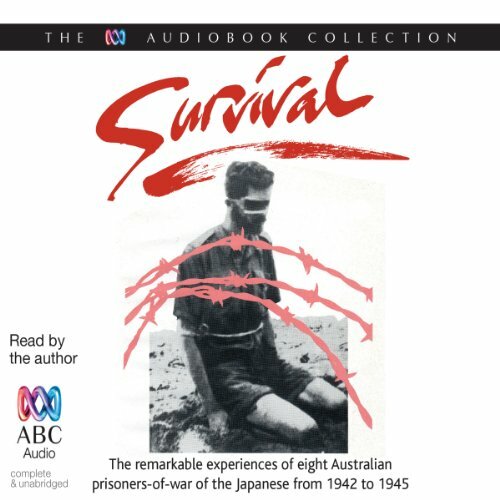 This is the story of how a teenage Australian soldier, George Aspinall, took his remarkable photographs as a prisoner of war of the Japanese, providing a detailed record of those desperate years from 1942-45, when British, Australian, Dutch and American troops were being driven beyond endurance as slave labour for the Imperial Japanese Army. There was a place far worse than Changi - Singapore's Outram Road Gaol. Deprivation here was so extreme that there really was a fate worse than death. 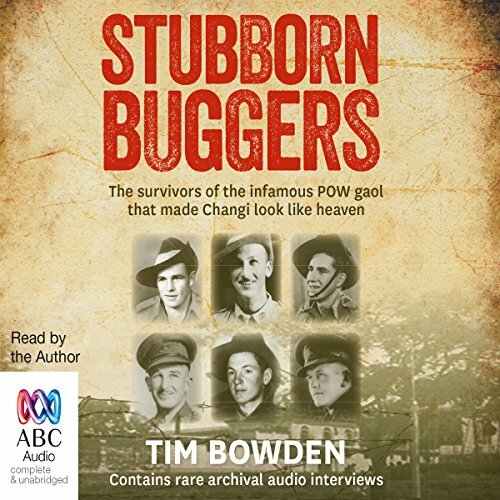 Stubborn Buggers is the story of 12 Australian POWs who fought and survived the battle for Malaya, then captivity and slave labour, followed by the unimaginable hardships of Outram Road Gaol. It is a story of how they dealt with the brutality of the Japanese military police, the feared Kempeitai. Tim Bowden takes us on one of the world's greatest road trips, from Australia's east coast to the Top End and into the heart of the outback. 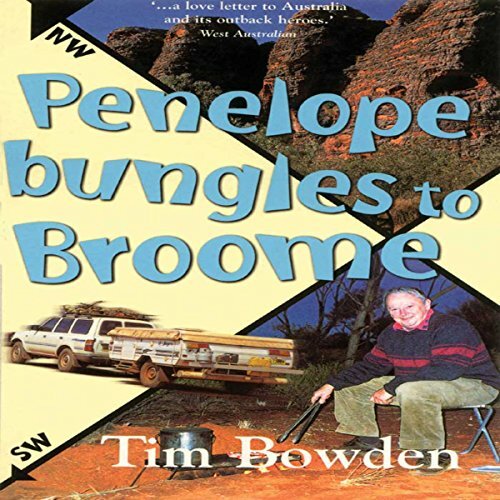 Told with wry humor, an infectious enthusiasm for history, and a nose for finding great stories, Tim lays bare the hardships of bush life and celebrates the joys and freedoms of being on the road. Australia claims about 42 percent of the land mass of Antarctica Continent - largely based on the exploration voyages led by Sir Douglas Mawson in the first half of this century. Yet by 1953 we had no permanent bases on the Antarctic continent. 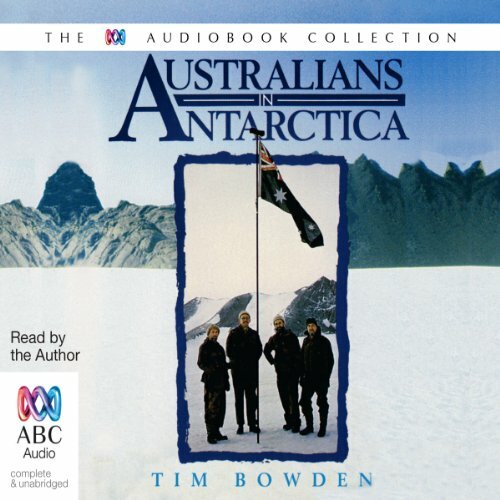 Australians in Antarctica reviews Australia's postwar push south, with the establishment of permanent stations on the sub-Antarctic islands of Heard and Masquarie in 1948, and the first settlement on the Antarctic mainland - Mawson Station - achieved by 1954. 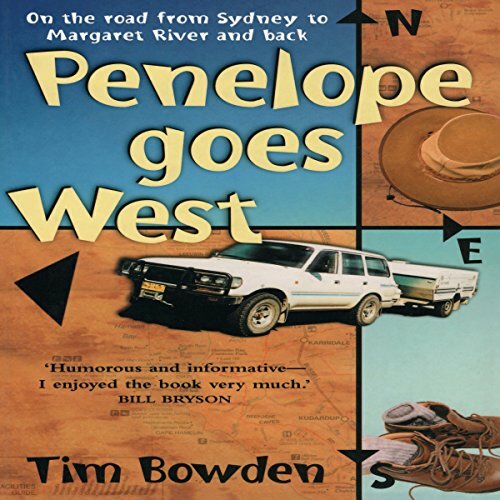 A follow-up to Tim Bowden's highly successful Penelope Goes West, this time covering the intriguing adventures of Tim, Ros, Penelope (the car), and The Manor (the caravan) as they travel across remote north western Australia. Tim and Ros Bowden explore the Kimberley by land and sea, where dramatic 12-metre tides guard coastal locations unchanged by time - still as 17th century buccaneer William Dampier first described them. 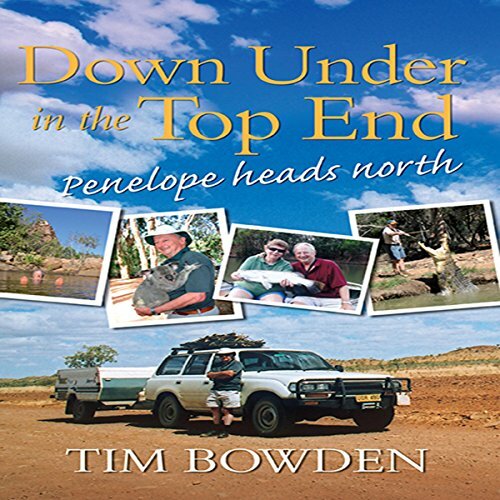 Tim Bowden loves travelling and camping and has a great interest in Australian history. So, when he decided to take off to Western Australia with his wife Ros and their newly acquired camping trailer and four-wheel-drive (named Penelope as to travel in her was to be truly to the Manor Born), it was only natural that their journey would be just as much about history as the travails and joys of the gypsy life. Although Prime Minister Robert Menzies used to say Australians were "British to the bootstraps", there were some who worried we were not engaging enough with the countries in our own region. In the late 1970s and early 80s broadcaster Tim Bowden recorded interviews with some of Australia's pioneering journalists for their work in the Asia Pacific region and beyond, including Margaret Jones – the Sydney Morning Herald’s first correspondent accredited to Peking, in 1973, and Pat Burgess, perhaps most known for his coverage of the Vietnam War. In 1974 Tim Bowden took six months leave from the ABC, and with his family took off in a split-screen Kombi on a journey half-way round Australia. He travelled from Sydney to Darwin, via Cairns, before going down the Stuart Highway to Alice Springs and ending up in Tasmania. 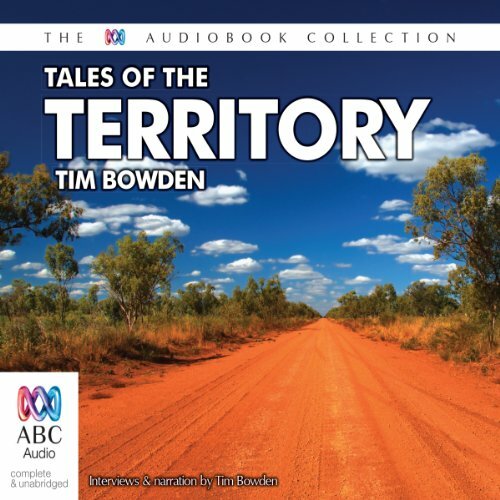 During his travels he recorded interviews from other travellers and locals, collecting stories from the outback. The resulting series of radio specials were presented on ABC Radio in the 1970s with original music by bush musician Ted Egan. In the following documentary first broadcast on ABC Radio, seven men and one woman tell extraordinary stories of endurance during their time as prisoners-of-war of the Japanese during World War Two. They survived brutal interrogations, and physical and psychological torture in conditions of starvation, illness and near-death. These are stories of horrific conditions, but also of triumphs of the human spirit. Survival is not about war, but about uncommon feats of human fortitude and resolution. 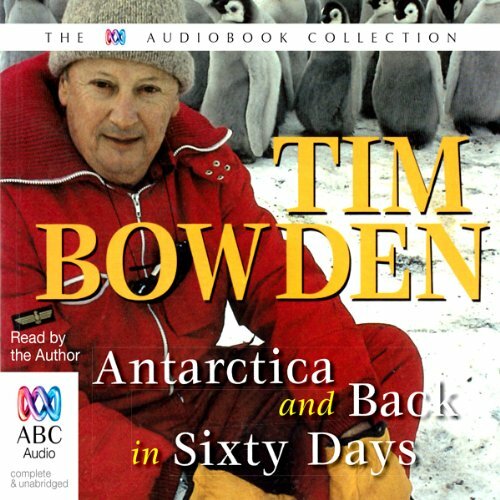 Antarctica and Back in 60 Days is Tim Bowden's account of crossing the Southern Ocean and visiting Australia's Antarctic bases. 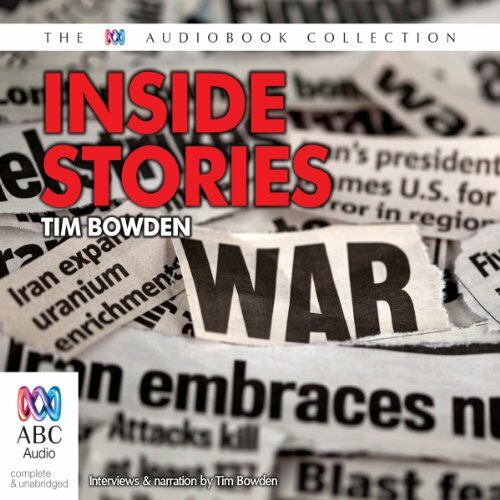 When the ABC's Tim Bowden went to the Antarctic he took his tape recorder to make radio programs, kept a daily diary, and, like all the "Voyage Sixers" aboard Iceberg, took photographs of everything.The result was a number of outstanding radio documentaries and this book, which offers to all who read it an opportunity to know what it is really like to spend some time in the southernmost part of the world, crossing the Southern Ocean and visiting Australia's Antarctic bases. 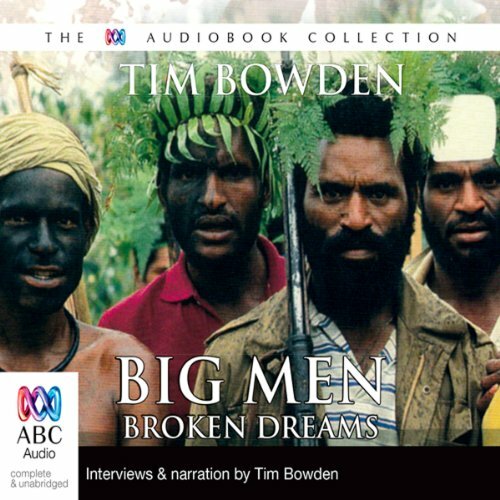 In Big Men, Broken Dreams, Bob Connolly and Robin Anderson relive the vicious tribal struggle that took place in the Highlands of Papua New Guinea through the 1980s while they were there to film documentaries. Connolly and Anderson recount to presenter Tim Bowden the devastating effects that blind ambition, welfare, destruction, and grief have on human beings - and how they managed to record 60 hours of footage while living in a grass hut with their 2-year-old daughter, Catherine. "It isn't easy to reminisce, alone, into a tape recorder. Yet that is what I asked my father, John Bowden, to do when, in the late 1980s I suggested he should not only record our family history, but reflect on a life that embraced almost the entire twentieth century. 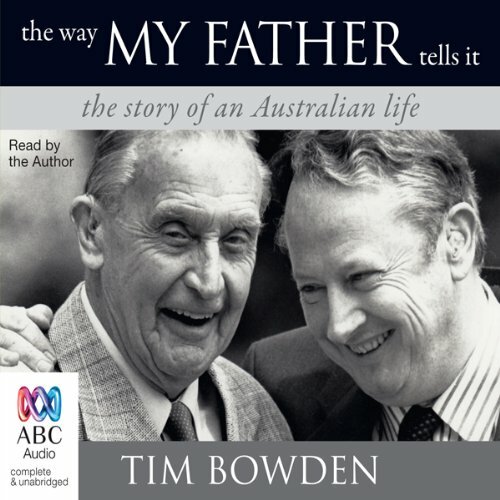 Then in 1998, at the age of 91, Father 'woke up dead' in his own bed, in his own house (which he never wanted to leave), not long after adding a postscript - a final chapter to his life story.…"
Tim Bowden has been writing and sharing his stories with the public since the early '60s in his home state of Tasmania. 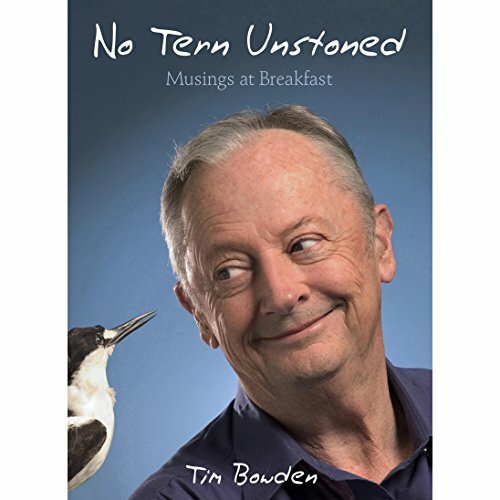 This quirky and eclectic series of recollections and anecdotes is Tim at his best, with a wry view on life, his own personal stories, and some amusing moments from his life as a reporter and broadcaster. A must for Tim Bowden fans. Tim Bowden has never been guilty of taking himself too seriously. From playing tunes on his teeth live on national radio to his days on the ground-breaking This Day Tonight and his regular encounters with Mavis Frizzletit on the much loved Backchat, he has lived by the golden rule of broadcasting - thou shalt not bore. 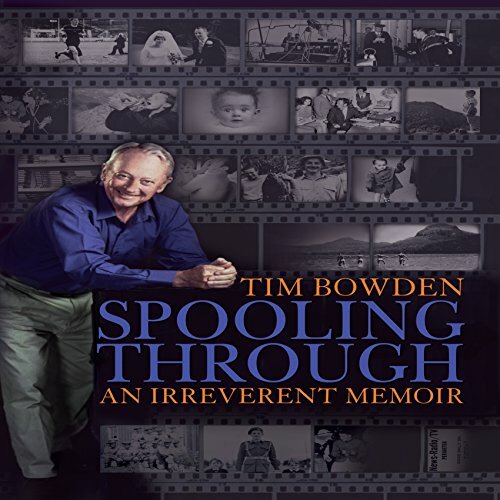 In this cheeky, larrikin and gloriously irreverent memoir, Tim Bowden spins the yarn of his life. The west coast of Tasmania has always held true to a distinct identity which endures to this day. It is based on geography and a history of isolation from the rest of the island. The mountain ranges running down the west of Tasmania are a natural barrier to the more populated eastern regions of the island, and flourished through exporting lumber and valuable minerals. Despite this, no roads existed to the east coast until 1932. 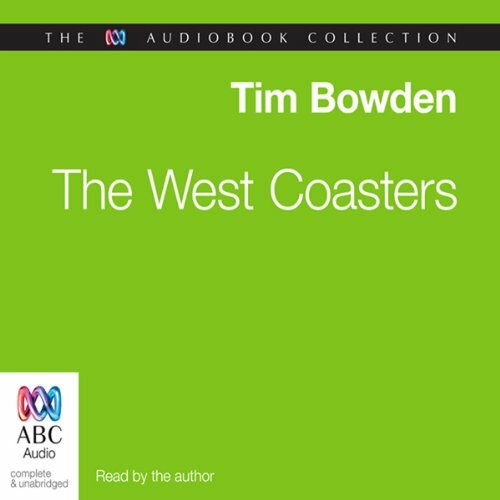 In 1974 broadcaster Tim Bowden interviewed various Huon piners and miners, who remembered West Coast life back almost to the turn of the 20th century.